Born into a spiritual family, Shri Bhaumik attracted the attention of a great sadhu (ascetic spiritual practitioner) at the early age of 15. The sadhu gave him the Goddess Durga mantra. Having learned this long-lost knowledge from his guru, he has revived the study of Ayurveda: the practical, ancient science that can bring perfect health and enlightenment. Every year, armed with blessings from great spiritual men, Shri Bhaumik in his quest for universal enlightenment visits the temples of Tripureshwari in Tripura and elsewhere in India to perform puja (ceremonial worship). Three thousand years ago, according to ancient Indian folklore, a group of fifty-two holy men left their homes and went to live in the foothills of the Himalayas in search of a cure for ailments that plagued human beings. Little did they know that their quest would pioneer one of the oldest, most consistent and time-tested disciplines of science in the world. These holy men, known as Rishis, became the pioneer physicians in the history of human civilisation. In those days people often died of simple ailments, so the Rishis aimed to learn how to eradicate illness and disease from the world. These men meditated together and from their meditations they acquired the knowledge, which was subsequently codified as Ayurveda. This body of knowledge was not committed to writing, but was passed from generation to generation by means of oral transmission. Subsequently, the Ayurvedic system was written down and was believed to be divinely inspired. The principal text, known as the Charaka Samhita, is regarded as sacred. When the Ayurvedic texts were being composed, disease was regarded as an evil visitation, which prevented the individual from attaining self-realisation. To free someone from disease was to enable that person to follow a truly spiritual path, liberated from the constraints of the physical body. A body afflicted by disease resulted in a spirit tied down by worldly concerns and unable to soar. Only those who enjoyed both good physical and mental health could attain enlightenment. 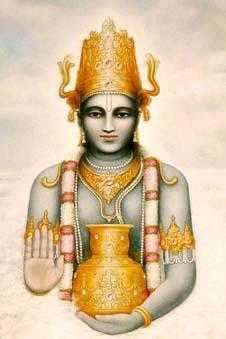 According to the Charaka Samhita, the Rishis elected one amongst them, Bhardwaja, to entreat Indra (the Hindu King of Heaven, god of thunder and the god with divine proficiency in the treatment of diseases) to impart the secrets of health and longevity. 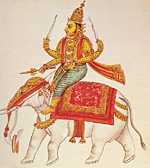 Indra was believed to have acquired his knowledge from the heavenly physicians, who in turn has acquired theirs from the supreme god, Brahma. The knowledge acquired by the Rishis had three aspects – aetiology (the science of the causes of disease), symptomatology (the study and interpretation of symptoms) and medication. These three components are known as the Tri-Sutra Ayurveda. Ayurveda is the indigenous system of medicine in India. It evolved in India thousands of years ago through the efforts of people endowed with extraordinary powers of observation of nature and its complex processes. For millenniums this comprehensive system tended the healthcare needs of Indian people, rich and poor alike. Ayurveda is essentially a holistic treatment method derived from nature that aims at the eradication of human sufferings, both physical and mental, through natural processes. Ayurveda believes that ailments are a natural process and their cure lies hidden in the core of nature. In Ayurveda, there is no scope for the use of any extraneous elements or factors in curing human sufferings and ailments. Put simply, Ayurveda (a Sanskrit word meaning the science, or wisdom of life) is an ancient philosophy based on a deep understanding of eternal truths about the human body, mind and sprit. Unlike orthodox medicine, it is not based on the frequently changing findings of specific research projects, but on permanent, wise and eternal principles of living.